I felt it was about that time to post a new mani how-to again. This one features ombre and a marble using no water. A bit of the inspiration for this comes from a mani I saw on Instagram @hausoflacquer. Step 2: On your index finger, on the side of your middle finger place a nice amount of “Go Ginza” and on the other side do the same with “Turned Up Turquoise.” Then, using your toothpick gently swirl the colors around to your liking. Step 3: On your ring finger, using a make up sponge, put the two colors on the sponge. Instead of doing the gradient horizontal, you want to do it vertical. 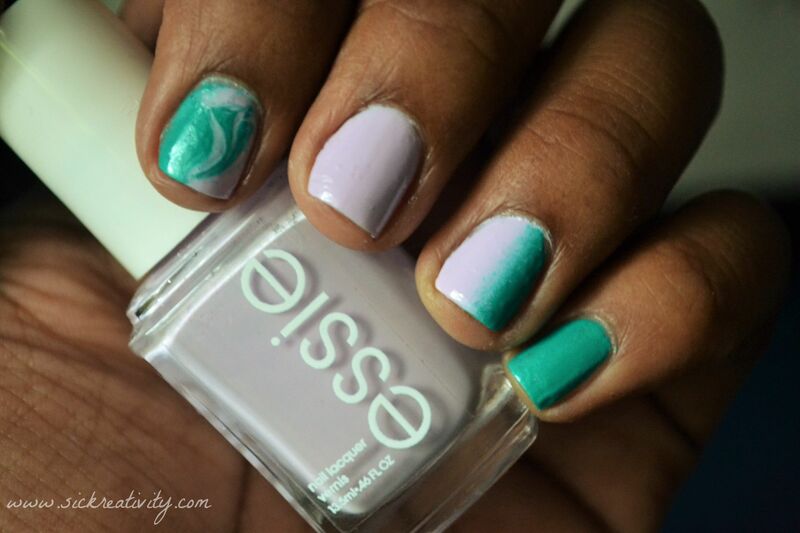 Make sure the turquoise is on the side of your pinky and the pink is on the side of your middle finger. (It makes it look like the colors from the other nails are bleeding on to your ring finger.) Then, dab or roll on the colors until they’re blended. 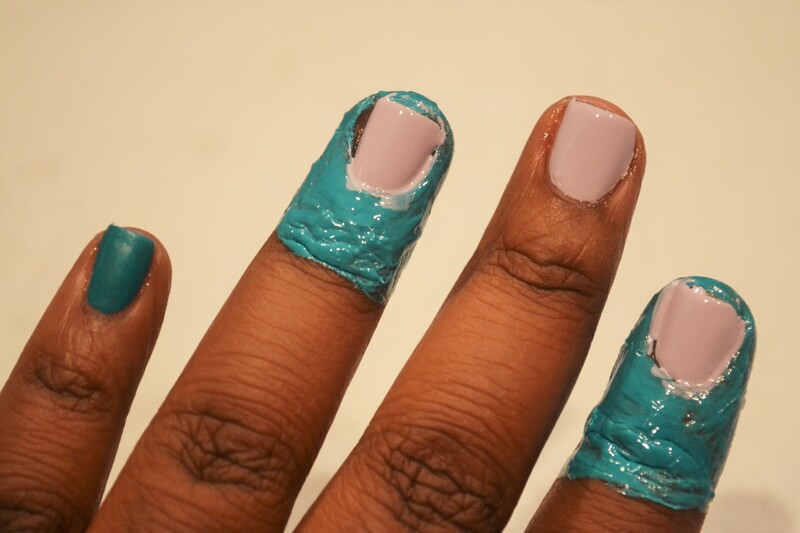 Step 4: Peel off the latex, clean up as needed and put on your top coat and you’re all finished! Hey! I'm Miyah. 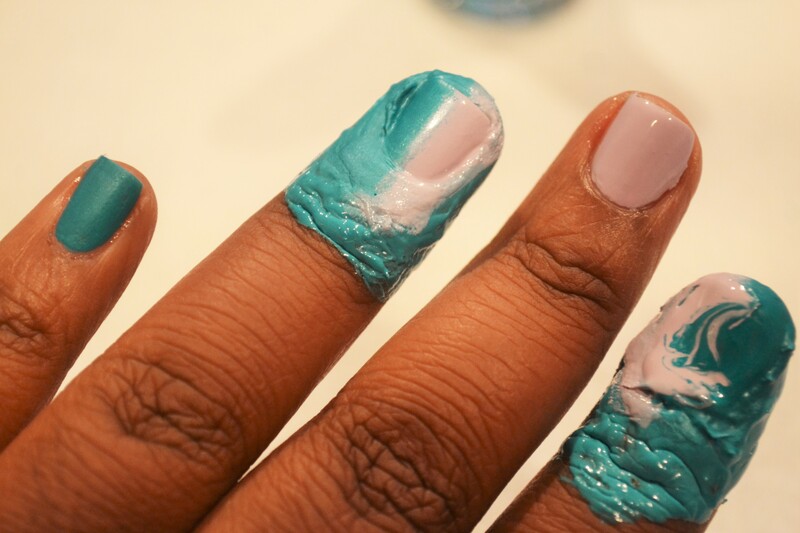 I am an Artist, a style blogger, and a nail art enthusiast and I occasionally dabble in a few DIY's and so this blog is to share my Kreativity and hope that it inspires yours. ENTER YOUR EMAIL ADDRESS TO FOLLOW IS BLOG!